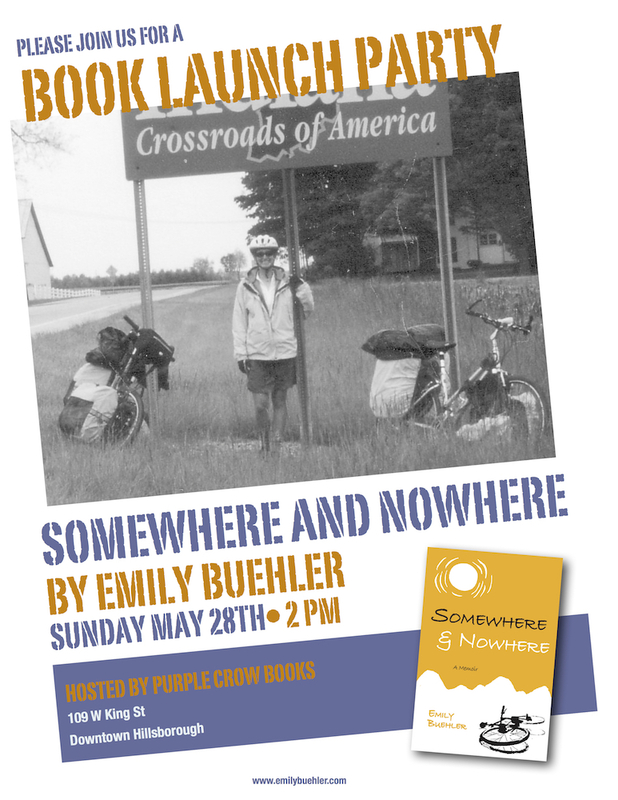 I’ve scheduled a book launch party for May 28 at 2 PM at Purple Crow Books in Hillsborough. If you’ve never been, it’s a very cozy spot. So far I’ve been unable to imagine what I will say, or which passage of Somewhere and Nowhere I will read, but I’m hoping it will become clear as the date nears. This weekend I’m heading to Asheville to teach my annual “Beginning Kneading” class at the Asheville Bread Festival. I think tickets have sold out for the classes, but you can still come to the free bread showcase. I’ll have a table set up, although I’ll be away from it for an hour while I teach. Otherwise, I have been super busy with writing and editing work! I’ve been revising the romance novel I wrote during Nanowrimo, and will soon be handing it over to my team of beta readers. If I do publish it, I’m thinking of using my middle name as a pen name: Jane Buehler sounds more like a romance author to me. The Editorial Freelancers Association’s publications committee selected my proposal as one of the booklets they’ll publish this year, so I’ve been writing The DIY Guide to Self-Publishing: An Overview. I wrote a test passage for the College Board and have had several academic papers to edit. And I head to the Folk School on June 3! There are three spots left in the class. If you’re interested, there is more information here. This entry was posted in My News on May 3, 2017 by Emily.